This week the U.S. Dietary Guidelines Advisory Committee pulled back the curtain on its official advisory for what Americans ‘should’ be eating. Due out every five years, the last Guidelines were revealed in 2010. That means this is the year for an update. The Guidelines are yet to be finalized. Yet when they are, they will serve as the basis for all dietary-related federal programs, including school lunches. That means it affects your kids lunches, your grandkids lunches, WIC, nutrition labels on packaged foods, food advertisements, and whole lot of other eating venues. The report is a huge step forward in several ways. 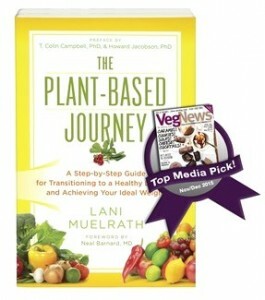 First, vegetarian diets were singled out as one of three healthful diet patterns. The other two were the Mediterranean diet and what is collectively called the “Healthy U.S.-style Pattern. Because vegetarian diets reduce the risk of obesity, diabetes, and many other health problems, they have risen in stature in each succeeding edition of the Guidelines. This year’s Guideline is no exception. The report emphasized the risks associated with saturated fat consumption, holding true to its previous recommendation that no more than 10% of calories should come from saturated fat -in spite of recent newsroom-hyped reports that saturated fat found in dairy and meat products is not as bad as we thought. I was impressed to see that the report has deleted “lean meat” from its “eat more of” list. Apparently the US Dietary Guidelines Committee was convinced that there is no evidence demonstrating that increased consumption of “lean meat” offers health benefits. Finally – and this is huge – the report underscores the connection between food’s relationship to environmental health – directly related, of course, to human health. The report suggested that cholesterol in foods is not a major danger. However, as Barnard points out, the American Heart Association receives handsome cash rewards for certifying food products. This includes certifying food products that contain cholesterol as “heart healthy.” Dismissing the connection between dietary cholesterol and serum cholesterol obviously creates a substantial financial incentive for them. The committee also persists in recommending the consumption of fish – in spite of the contamination of our fish supply due to the bioamplification of mercury, chemicals, and toxins in fish flesh, not to mention our dwindling planetary fish supply. There are lots of conversations we could have in response to the proposed guidelines. For example, you may have seen the kerfuffle in the news headlines this week, as the debate swirling around changing the advisory in cholesterol continued to escalate, with the Committee advising the removal of cholesterol as a “nutrient of concern” in the American diet. As Dr. Barnard points out, most foods high in cholesterol are also high in saturated fat – and the USDA is still advising restricting consumption of saturated fat. Dr. Joel Kahn astutely observes in his fine analysis of the new US Dietary Guidelines, the American Heart Association 2013 guidelines for prevention of heart disease reduced the recommended amount of calories from saturated fat from 7 percent to 5-6 percent based on an extensive review of the literature. “We should be advised to order ‘I will have a quarter of an egg over easy’, so as not not exceed the saturated fat goal!” Kahn brilliantly comments. 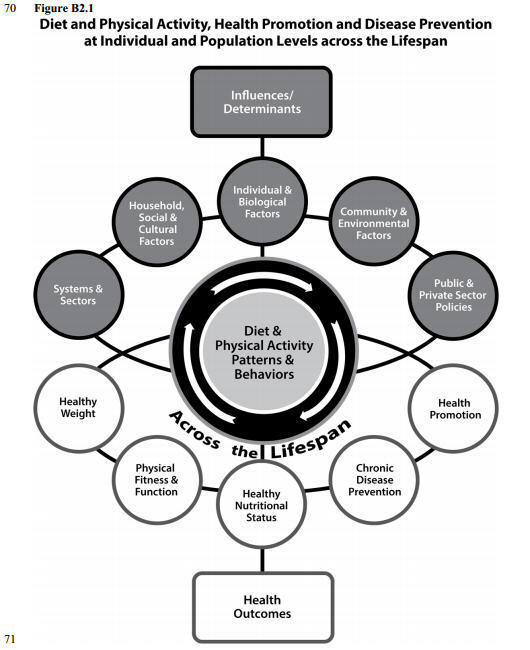 About half of all Americans – 117 million individuals – have one or more preventable chronic diseases that relate to poor quality dietary patterns and physical inactivity, including cardiovascular diseases, hypertension, type 2 diabetes, and diet-related cancers. More than two-thirds of adults and nearly one-third of children and youth are overweight or obese. These devastating problems…call for bold action and sound, innovative solutions. Between 80-100 percent of Americans exceed recommended empty calories – that’s added sugar plus solid fats – with children under age 8 having the highest rate of excess. At all ages up to 70, 80 percent of Americans exceed recommended dietary sodium intake. After the age 8 less than 20 percent of the American population meet dietary guidelines for fruit intake. 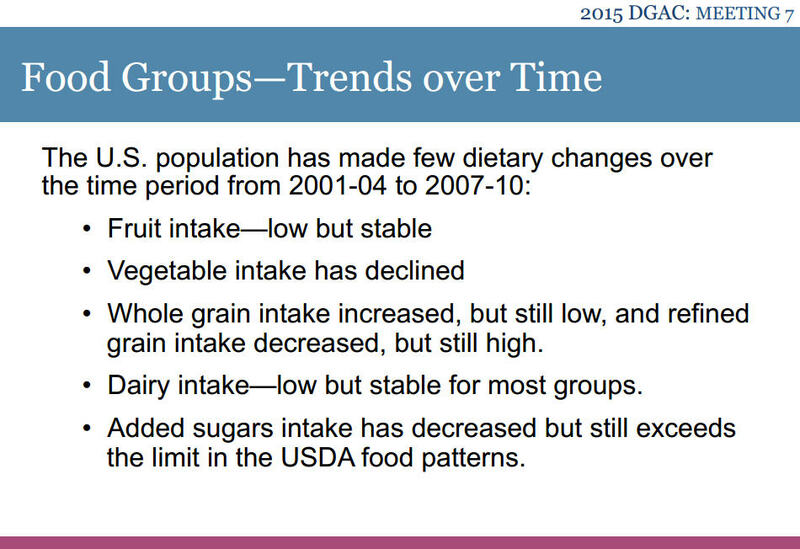 From 2001-2004 to 2007-2010, vegetable intake in the US has declined. and sweet snacks; and sugar-sweetened beverages. Foods such as pizza, burgers, and sandwiches are the largest source of sodium and saturated fat. 93 percent of children with diabetes are obese, which is therefore reversible. Overall, the evidence base on the links between diet, physical activity, and health has never been as strong or more compelling. They even are so bold as to include a graphic connecting the diet, exercise, and lifestyle dots. To achieve and maintain a healthy body weight, individuals are encouraged to consume dietary patterns that are higher in vegetables, fruits, and whole grains; include seafood and legumes; are moderate in dairy products (with an emphasis on low- and non-fat dairy), and alcohol; and are lower in meats (including red and processed meats), sugar-sweetened foods and beverages, and refined grains. During childhood and adolescence, a time period critical for the prevention of obesity later in life, a dietary pattern similar to that associated with a healthy weight in adults should be encouraged. With 571 pages to the US Dietary Guidelines Committee document, there’s a lot to look at. Luckily we have the fine educated analytic eye of the plant-based doctors such as Neal Barnard, MD, and Dr. Joel Kahn, MD, to help us decode it. And at the end of the day, here’s what it boils down to. 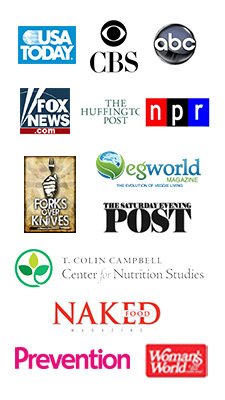 Having government agencies recognize important nutritional research in its public directives is a definite plus. The fact that these guidelines shape public policy makes it even more imperative that documents such as the US Dietary Guidelines reflect advances in the science of nutrition and disease prevention. These types of nutritional advances and awareness, when you come right down to it, make the lives of plant-based eaters easier. It’s not a coincidence that the increasing amount of vegetarian and vegan options on restaurant menus and on the grocery shelves have risen in the last few years. There is some trickle down effect of growing food-sense at the government policy level to what we find in the marketplace. Yet as long as there is such widespread and deeply penetrating evidence of special interests in these Guidelines, we still need to take matters into our own hands. Stay aware of the research done outside of special interests. What do you think of the new Dieary Guidelines? Looking forward to your thoughts in comments below. Hey Bethery, thanks for your observations. I think the water placement on the chart makes a statement in that it serves as beverage. 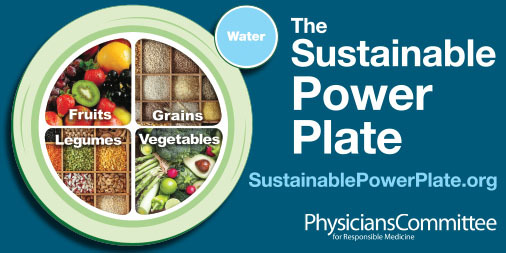 I like the graphic too – and love that ‘sustainable’ has been added to it! Lani, I listened to the tail end of this announcement on our local public radio station while driving home. This reporter shared some of the details and then said that now a breakfast of coffee and eggs is quite acceptable. You know me – I was screaming at the radio. ;0) I was bummed since alot of the new information was good information, but this was what she chose to point out. Very disappointed. THanks for writing up your comments and sharing others on your page. I appreciate it. Hugs! Holy cripes grrrfren you must be kidding. Though outraged, I guess we can’t be surprised. This is so typical, picking out the ‘eggs aren’t deleted from the list so they must be OK and let’s have them every day for breakfast’! I love what Joel Kahn said about “1/4 egg over easy”, don’t you? Thank you so much for leaving your thoughts here, I always enjoy and value what you have to say. And it means a lot to me that you enjoyed my analysis! As soon as I saw the release of the proposed guidelines, I knew I’d need to report in for everyone to be able to take a look and hopefully simplify some of the language of that long document – at the same time knowing that Dr. Barnard and Kahn were probably burning the midlight oil to do the fine physician’s analysis which is extremely helpful to the cause. Then I can come in and connect it with the rest of us. Lani – thank you for bringing clarity to this potentially confusing issue! I’m glad to see the positive changes in the new guidelines, but I just hope the new cholesterol guidelines don’t give people the impression they can go “hog wild” on cholesterol-containing foods, which also so often happen to be high in unhealthy saturated fat. Thank you for your observations – always appreciated! And of course you are onto something here – I’m sure there will be plenty of people who see this as open season on “hog wild” as you so well put it! 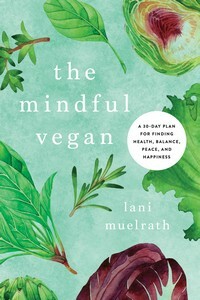 I keep reminding myself to look on the bright side – the tremendous strides that have really been made toward whole food plant-based eating with these new guidelines! Thanks again for stopping in with your wisdom!